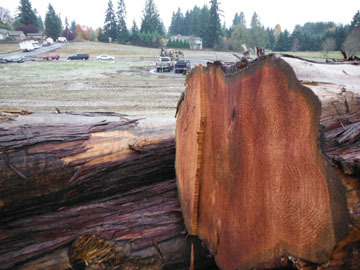 Urban logging is about up-cycling logs from urban tree removals otherwise considered waste, by-product, or a burden to dispose of. We recover logs from around the city that would otherwise be cut up into firewood, chipped, or dumped. We don't cut trees down to make lumber, nor do we take trees down. 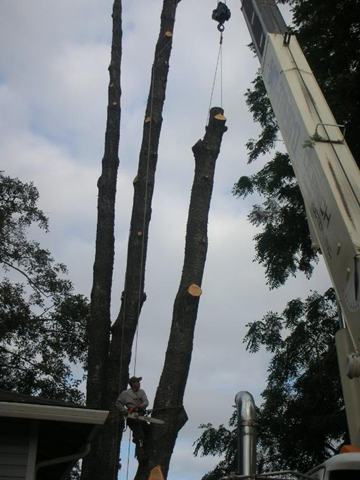 We work with arborists, tree service companies, and home owners, providing log handling and log removal once trees are on the ground. *What kind of tree is it? *Measured diameter thru or circumference around at shoulder height? *What is the location: front yard, back yard, side yard, along driveway, open lot? 10' straight to first major limb or set of leaders. 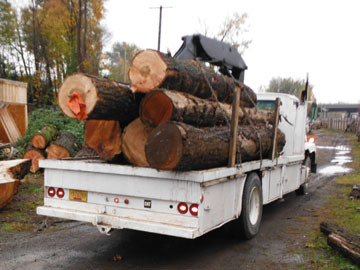 *Logs should also be accessible by truck or within a straight line pull. Desired species include, but not limited to: alder, ash, black walnut, cedar, cherry, chestnut, fir, locust, madrone, maple, myrtle-wood, oak, and sycamore.